Strengthens the teeth once they have erupted by seeping into the outer surface of the tooth enamel, making the teeth more resistant to decay. 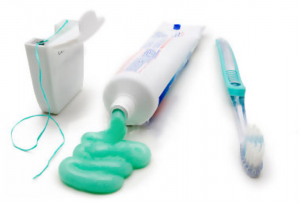 We gain topical fluoride by using fluoride containing dental products such as toothpaste, mouth rinses and gels. Dentists and Registered Dental Assistants generally recommend that children have a professional application of fluoride twice a year during dental check-ups.